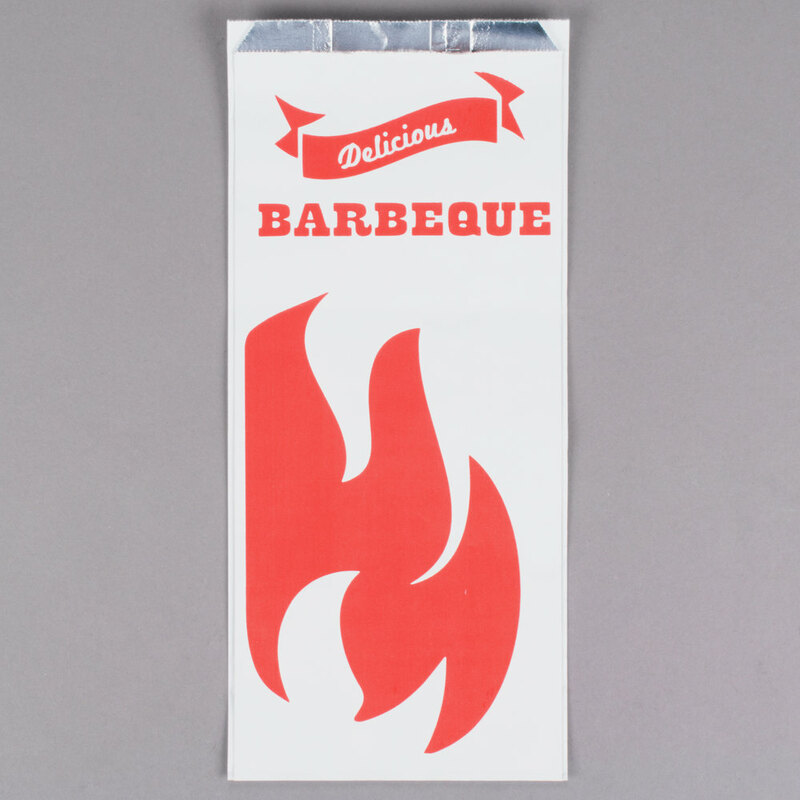 This quart size foil BBQ bag from Carnival King features an eye-catching red flame design with a bold "Barbeque" logo to catch the attention of hungry fair and carnival-goers! Its non-vented design provides excellent heat and moisture retention, so your take out chicken or ribs stay hot and juicy all the way home. This quart size foil barbecue bag is also the perfect size for half a rotisserie chicken.